Raleigh, NC – Open Sky Group, a consulting company specializing in WMS and Labor software implementations, is pleased to announce its award of Top Value Added Reseller of the Year for North America by JDA Software. 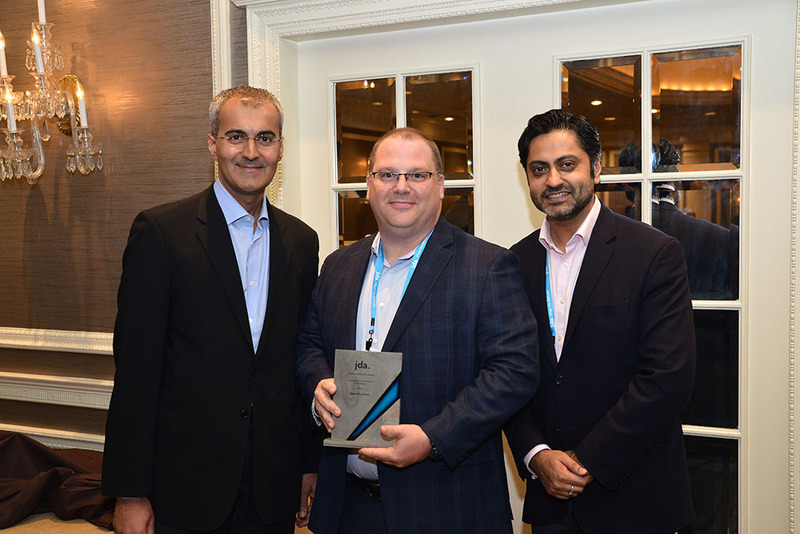 The Top Value Added Reseller Award is part of JDA Software’s Partner Leadership Awards program, held during their annual user conference, JDA FOCUS. The awards recognized the exceptional success achieved by JDA partners in 2015. By working collaboratively within its ecosystem, JDA and its partners have been able to deliver valuable benefits to joint customers in order to help them drive their businesses forward. “We are deeply honored to receive Top Value Added Reseller of the Year from JDA Software,” says Curt Sardeson, President of Open Sky Group. “This year marks major milestones for Open Sky Group; our ten year anniversary, a record-breaking first quarter with four WMS go-lives and now receiving this incredible recognition of our hard work and dedication from our valued partner, JDA Software. Congratulations to Cantactix, CapGemini, IBM, MEBC, Plantensive and all of the other award winning partners!